Built size: approx. 230 m2 (excluding terraces); built in 2008. 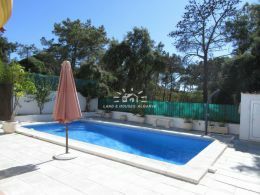 Description: High quality well-presented three bedroom / four bathroom villa with a study located in a quiet little village near Castro Marim and 2 minute drive from Castro Marim Golf Club in the Eastern Algarve. 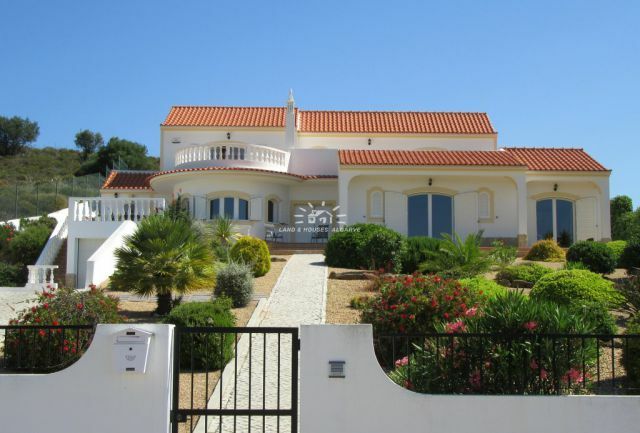 The two-storey property is approached via an automatic gate and cobblestone driveway and sits on the elevated position of a nicely landscaped and private plot of land with country view. 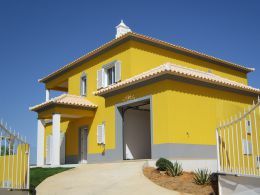 The ground floor of the villa consists of an entrance hall with a bathroom and a cloakroom, a light and bright living room with a study, a fully fitted and equipped kitchen with Kitchen Island and granite worktop and adjacent utility room in addition to a dining room with access to a cosy terrace. The first floor comprises of three spacious double bedrooms, all with en-suite bathroom. 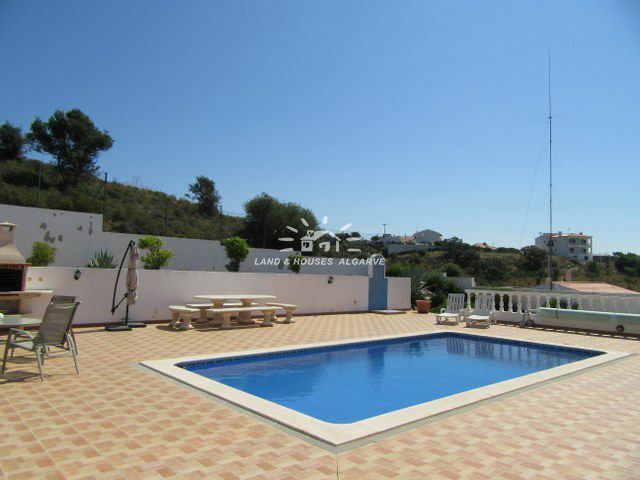 Very large sun terrace with swimming pool (8x4 mtr) with an outside shower, a gorgeous BBQ area ideal for al-fresco dining. 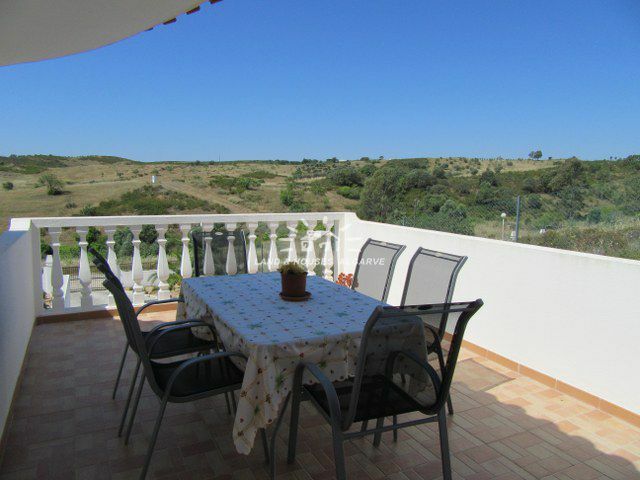 The landscaped and automatically irrigated garden has extensive natural plants and a variety of fruit trees and wonderful views to enjoy the tranquility of this peaceful hilly countryside setting. Access from the villa directly to the garage. 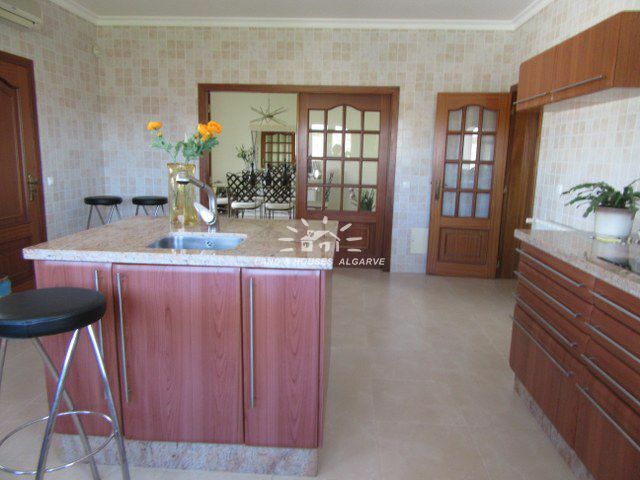 The property benefits from double glazing, central heating throughout, air-conditioning, access to a terrace from all rooms, light ceramic floor tiles, high quality finishing, mature garden, country view, privacy and security and fast internet. Mains electricity, water and drainage. 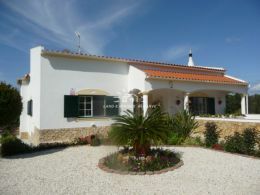 Distances: Tavira: 35 km; Faro airport: 61 km; Beach: 10 km; Golf: 4 km; Spain: 2 km. 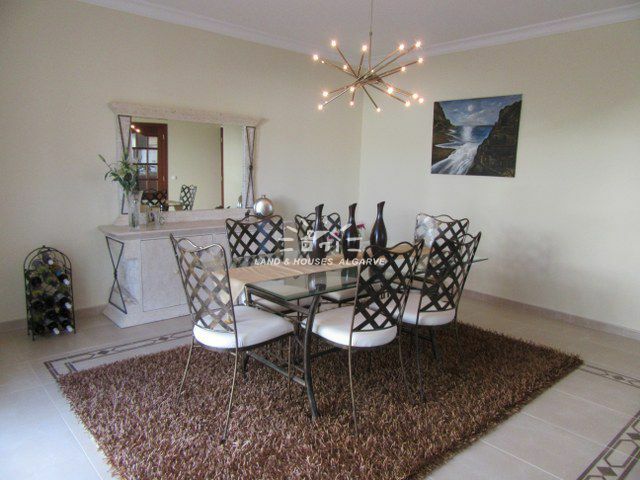 Details: * 3 bedrooms * study * 4 bathrooms * laundry room * various terraces * private plot * central heating * swimming pool * BBQ * automatic irrigated garden * country view * double glazing * air-conditioning * Energy certificate class B.